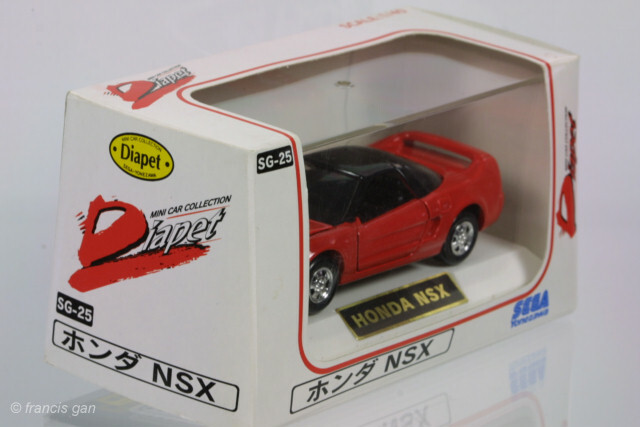 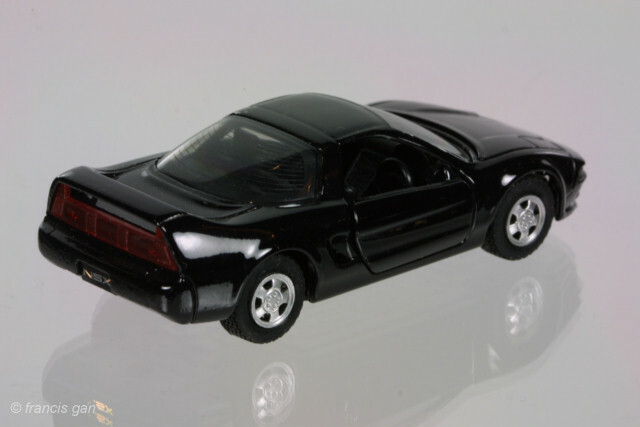 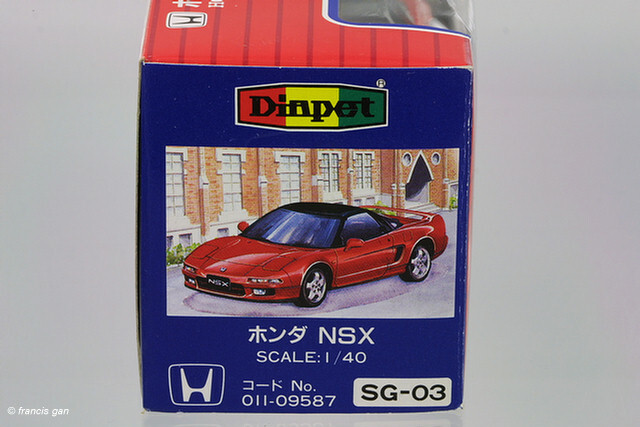 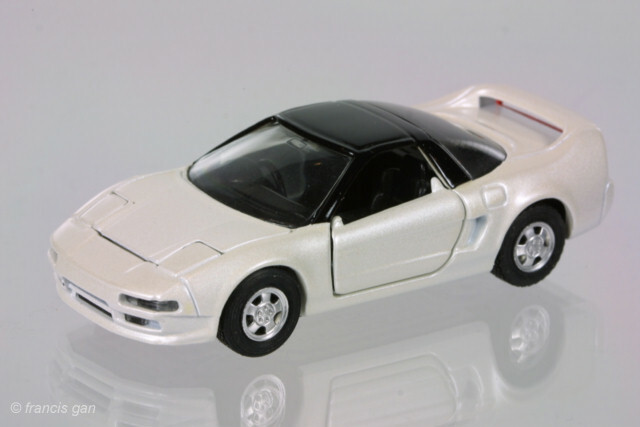 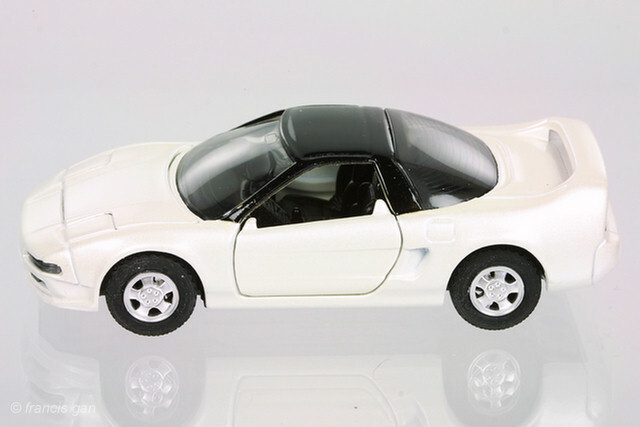 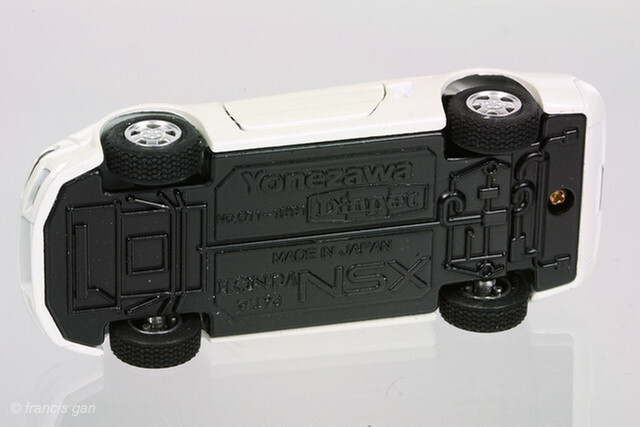 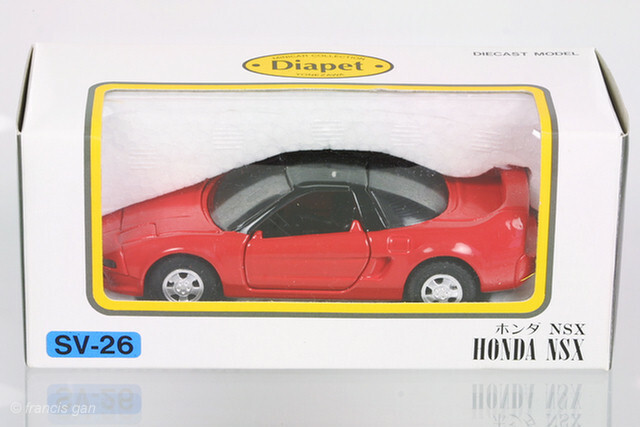 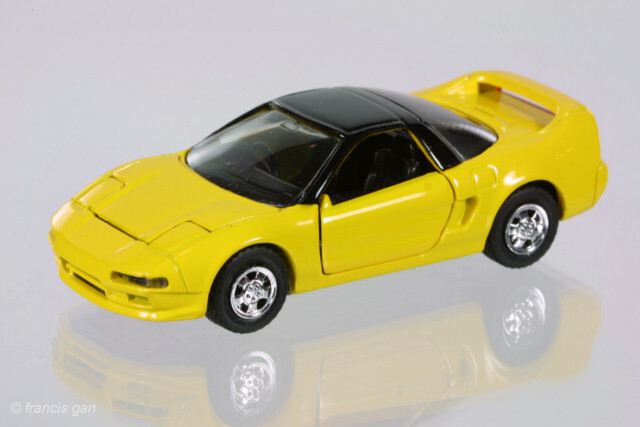 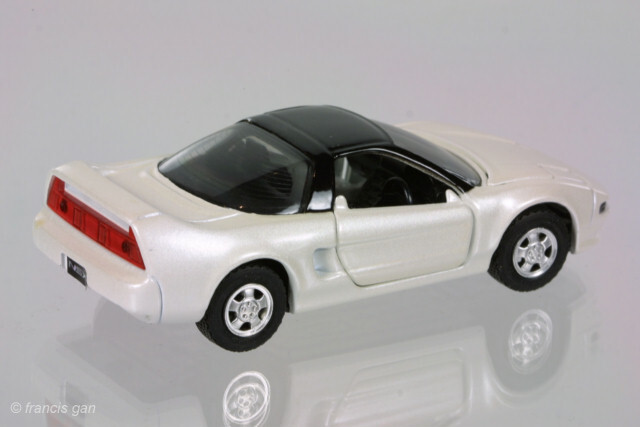 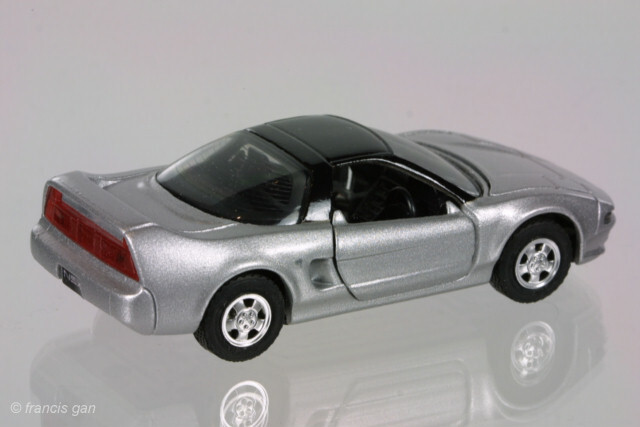 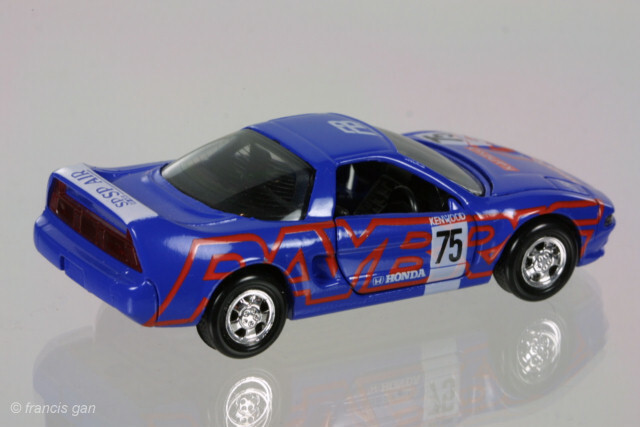 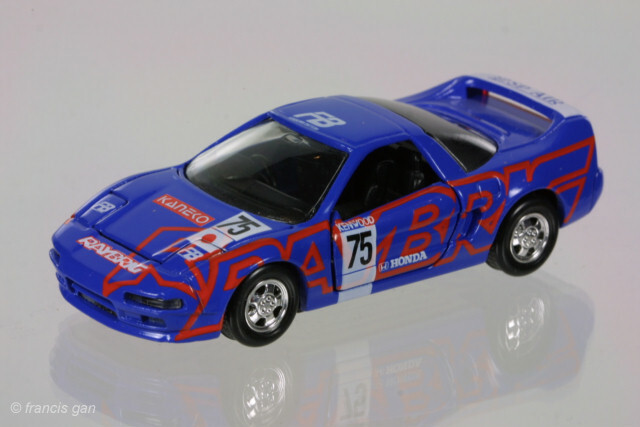 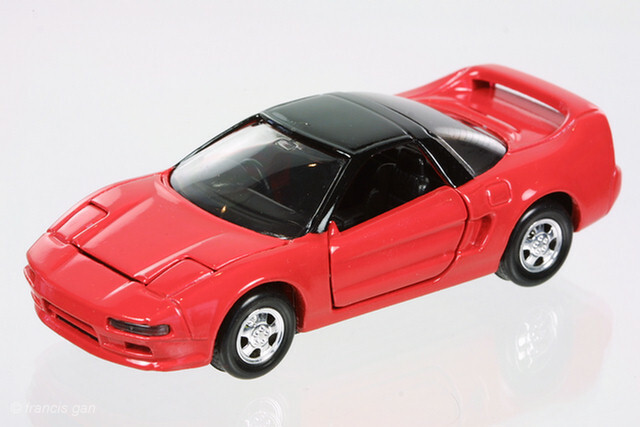 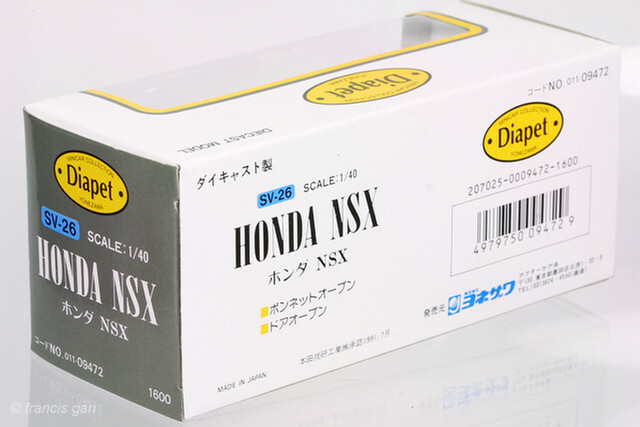 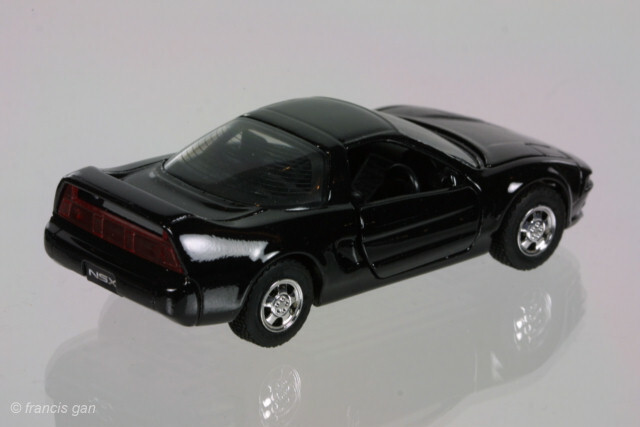 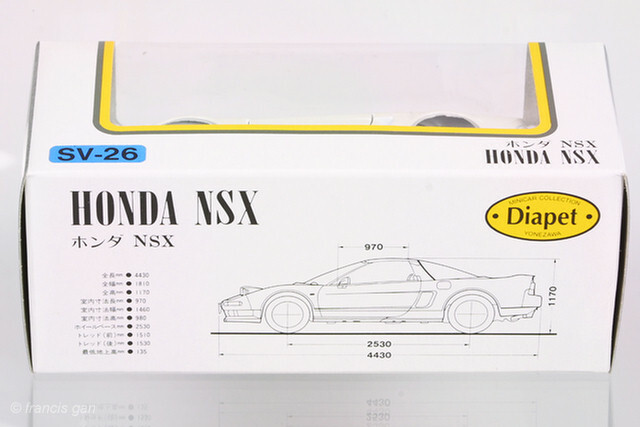 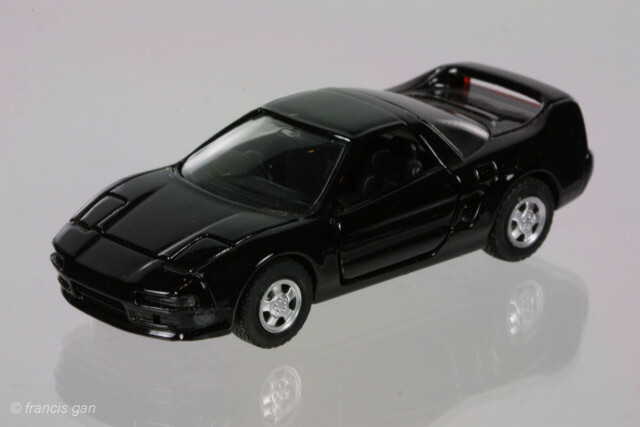 Diapet was one of the first to license and model the NSX in a medium scale, 1:40. 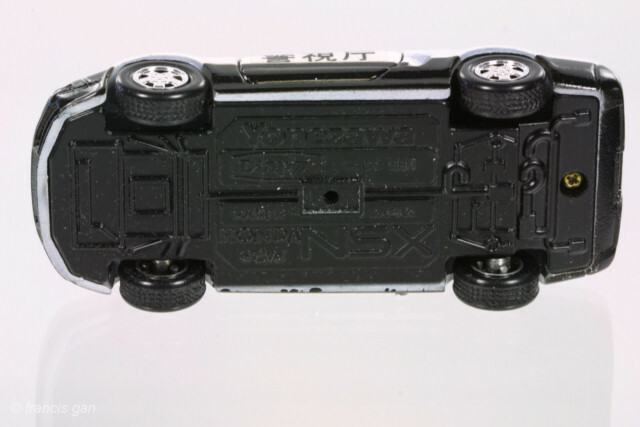 The casting quality is no where near that of the later Ebbros and the prices weren't great either. 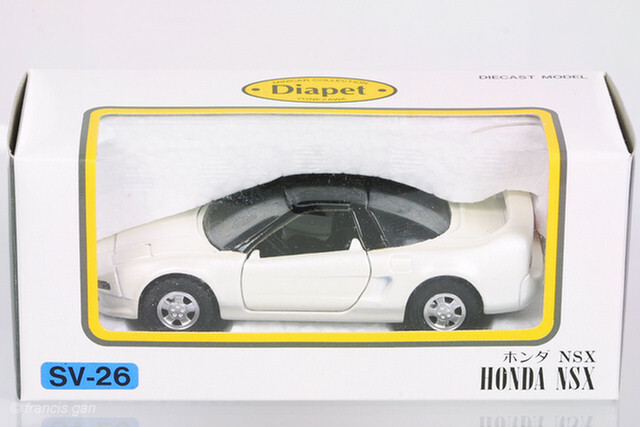 Because they were not very popular, they are rather rare today - especially in the USA. 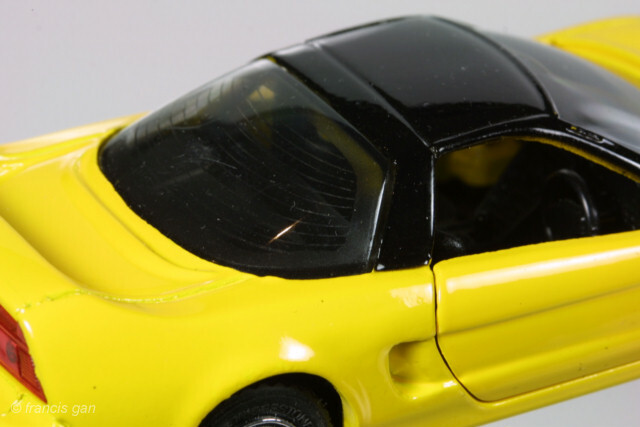 An interesting detail are the defroster lines in the rear window and the black border around it. 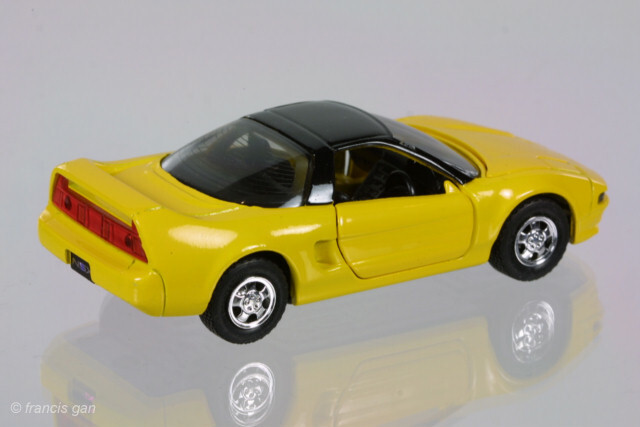 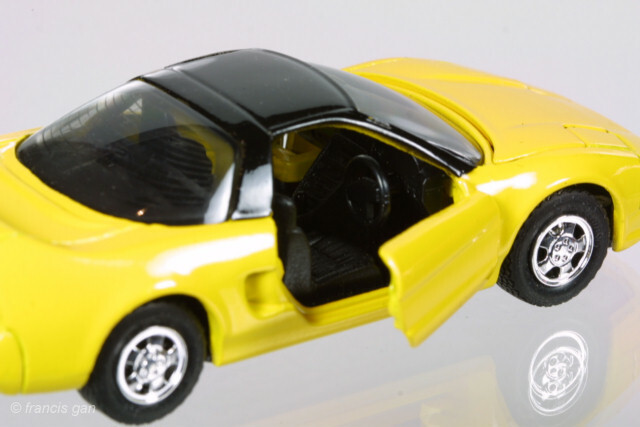 The Diapet NSX was available in yellow, red, black, silver and pearl white. 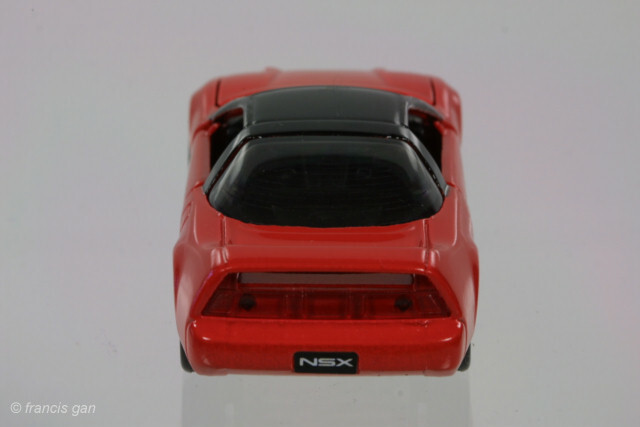 There seem to be two subtle variations of the red NSX. 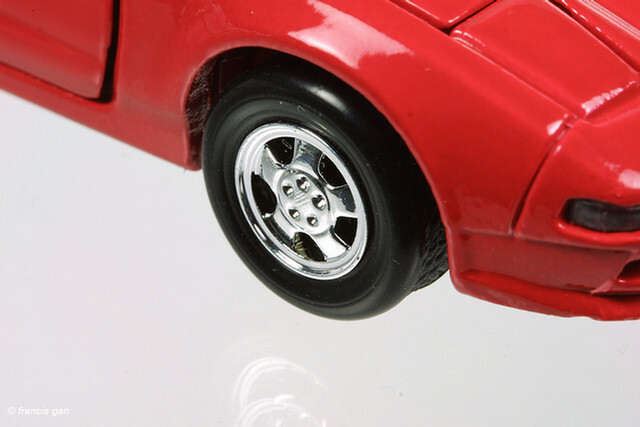 The first one here (SV-26) has satin silver wheels with "Bridgestone" tires. 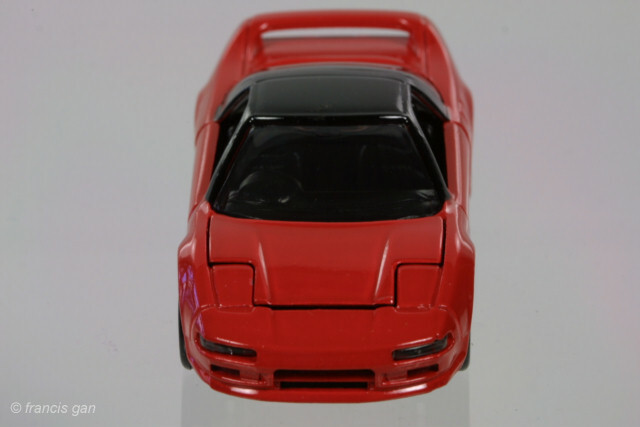 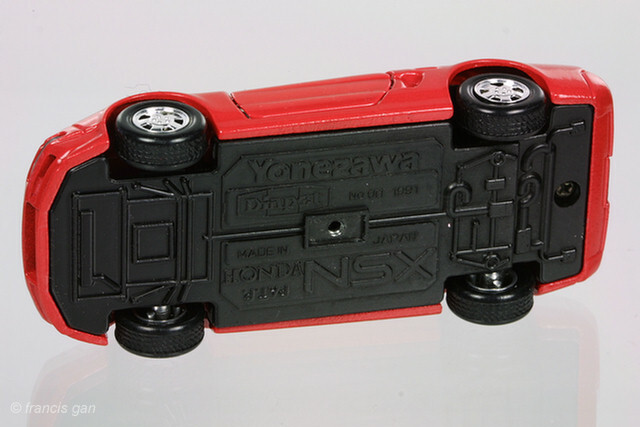 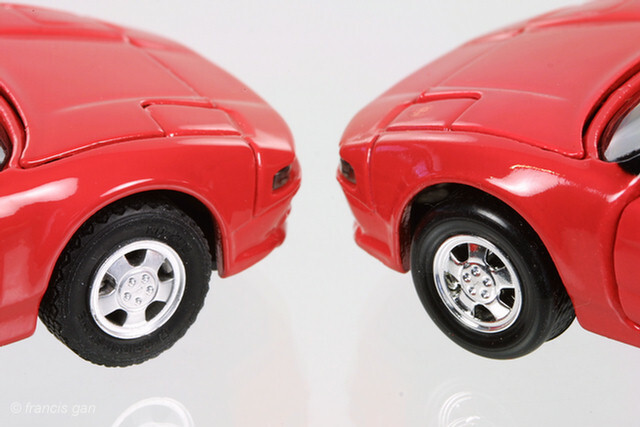 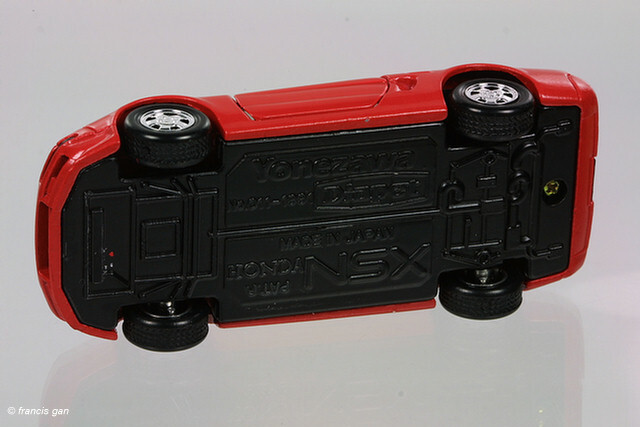 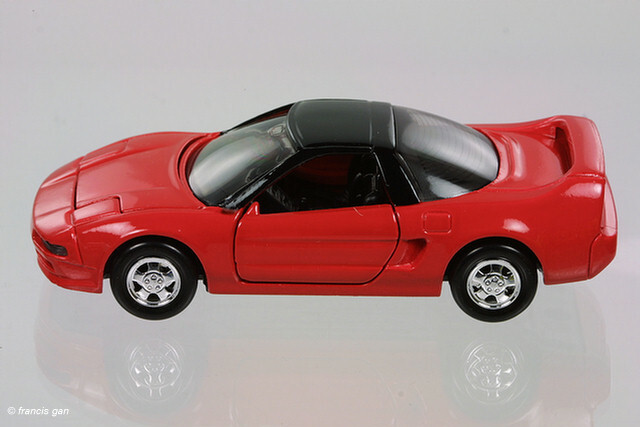 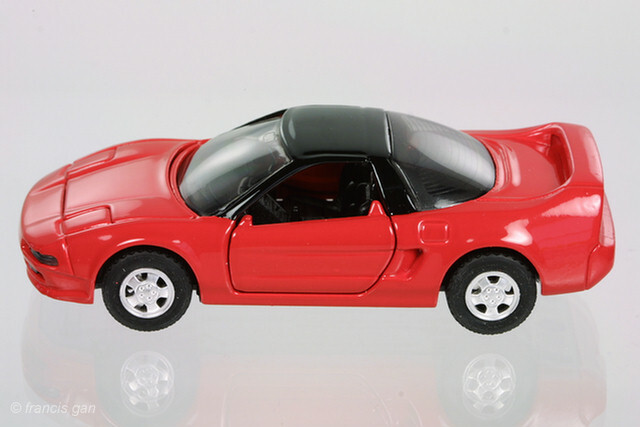 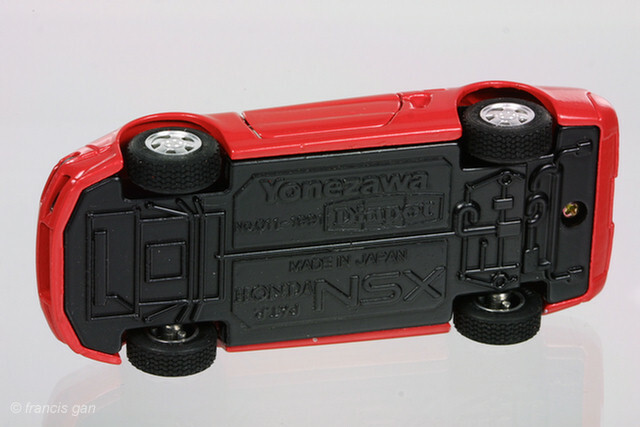 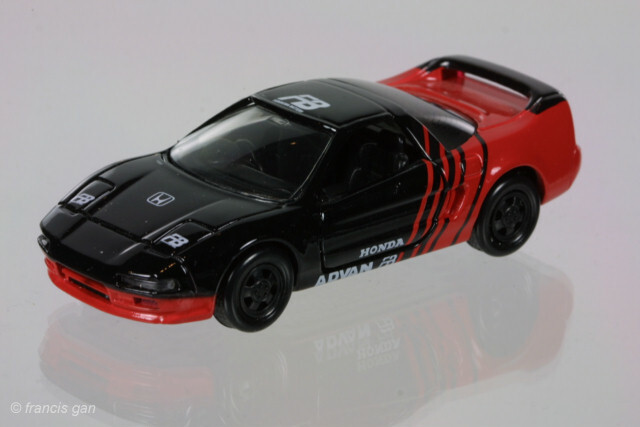 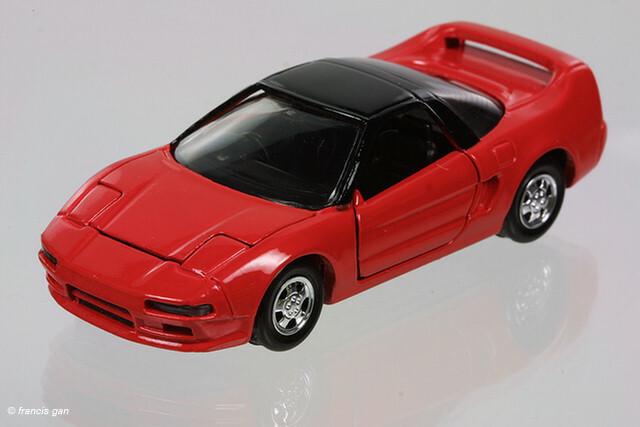 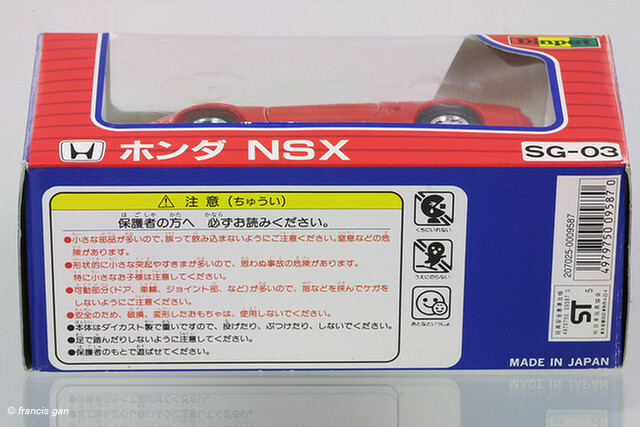 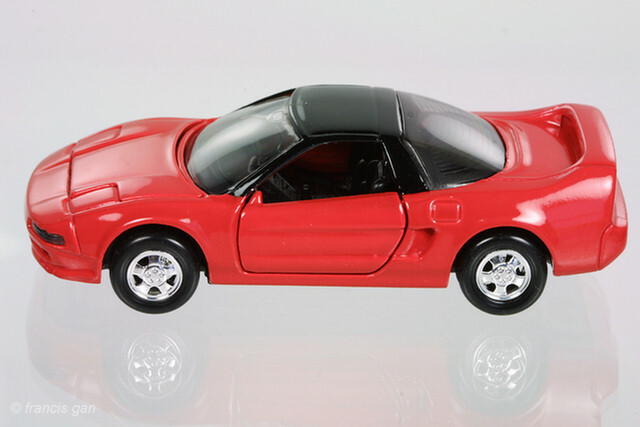 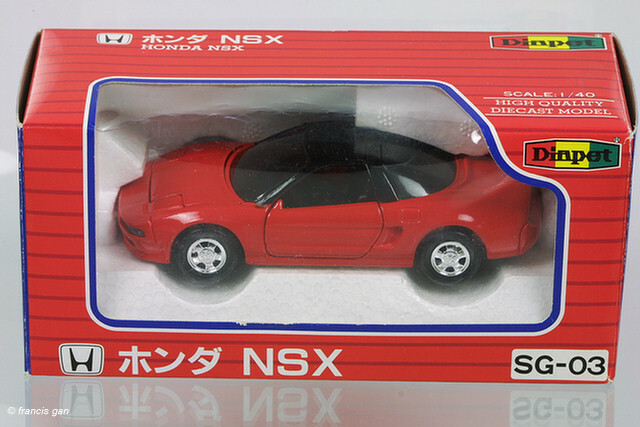 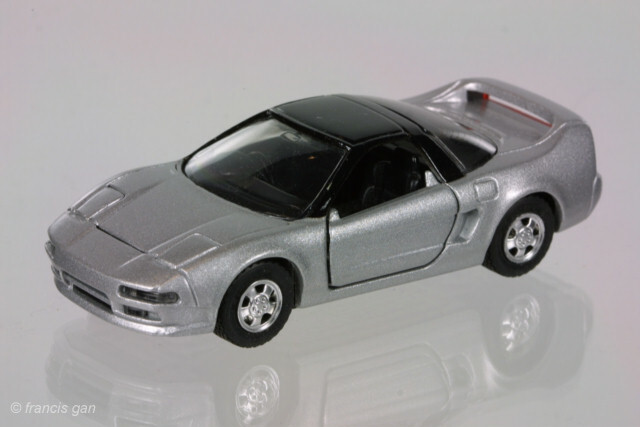 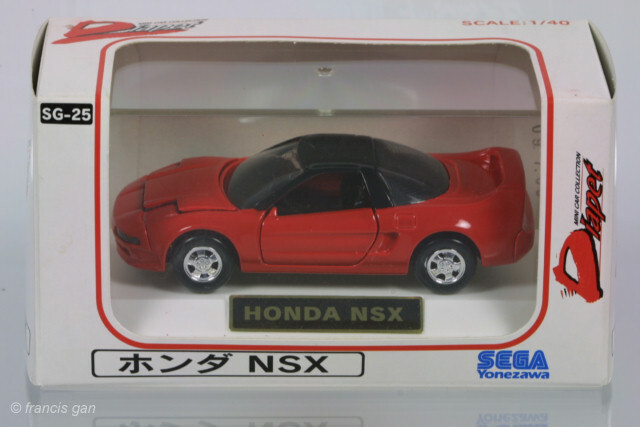 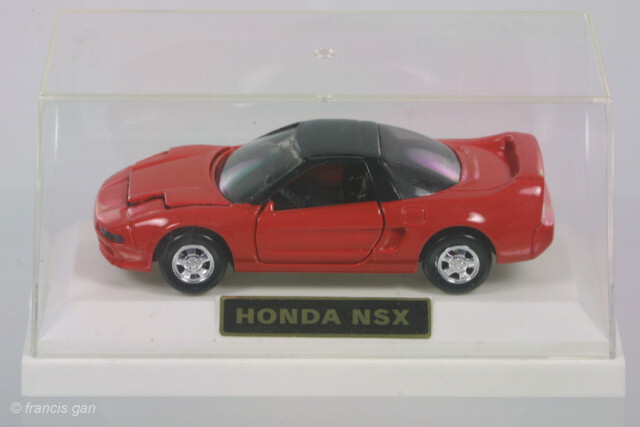 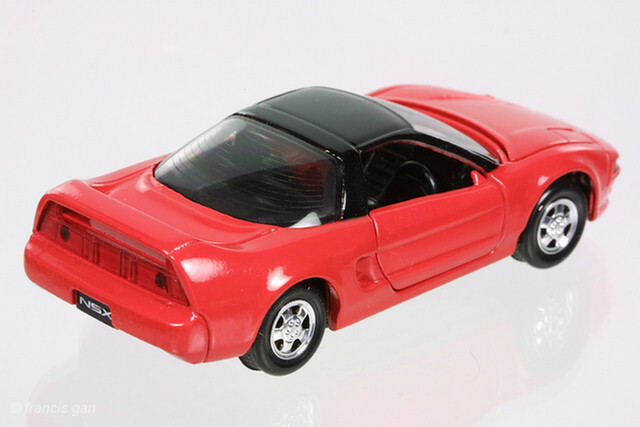 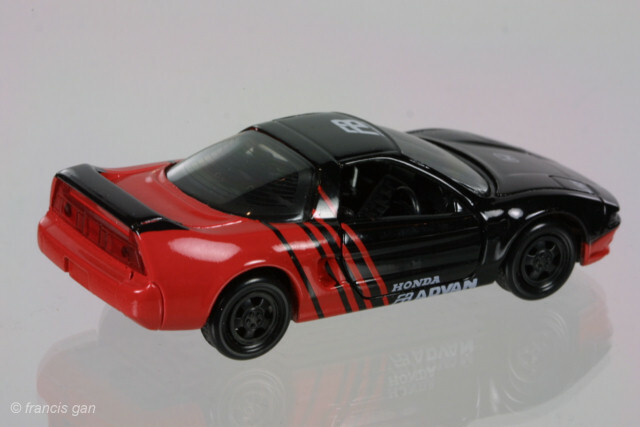 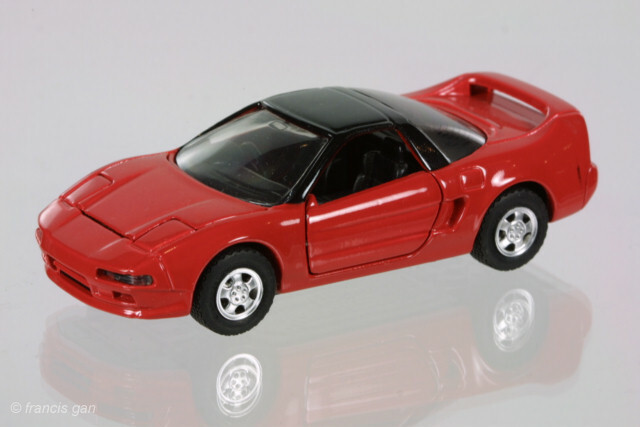 This second red NSX (SG-25) came in different packaging and had chrome wheels and non-descript plasticy tires. 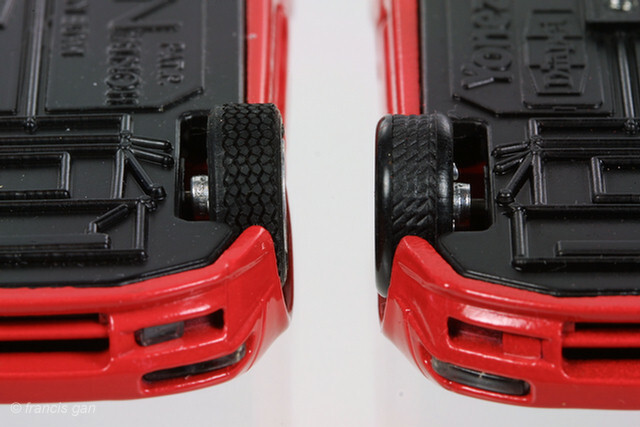 The base on this variation is also slight different in text placement as well as having a molded slot that the base fits into and a corresponding screw hole. 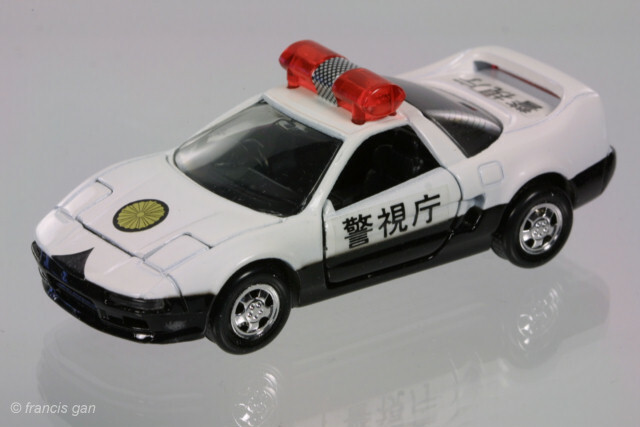 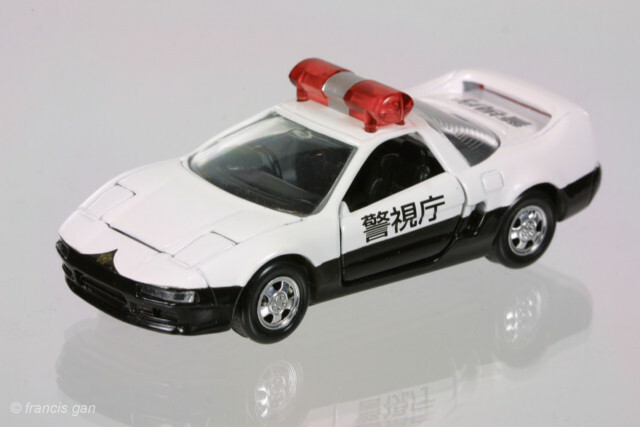 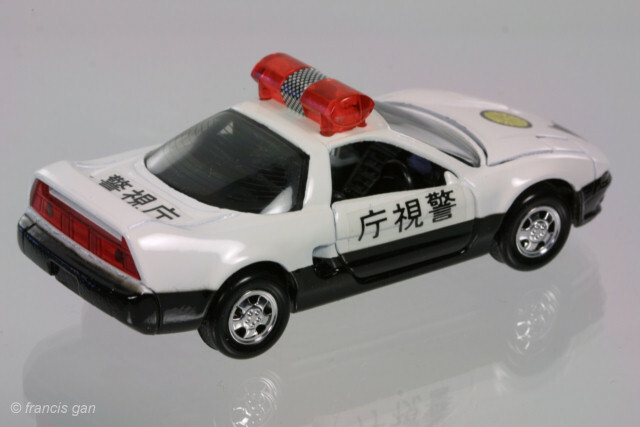 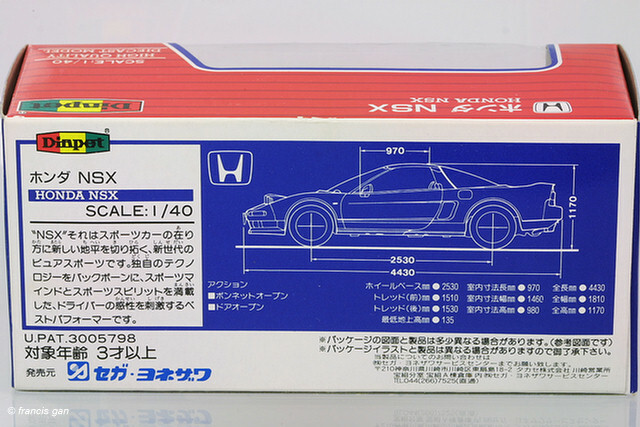 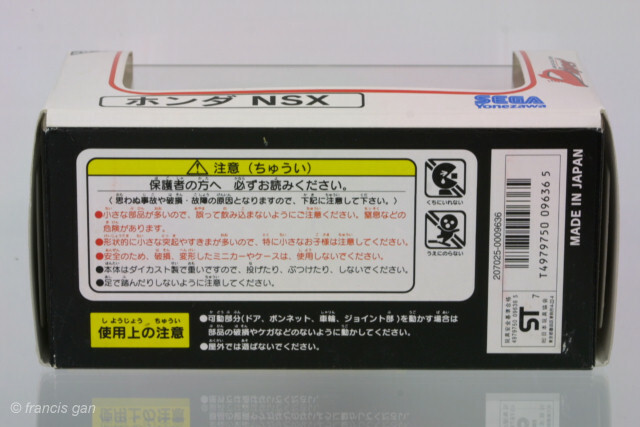 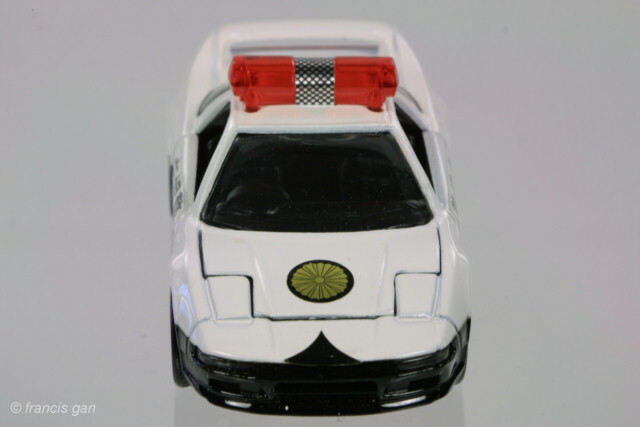 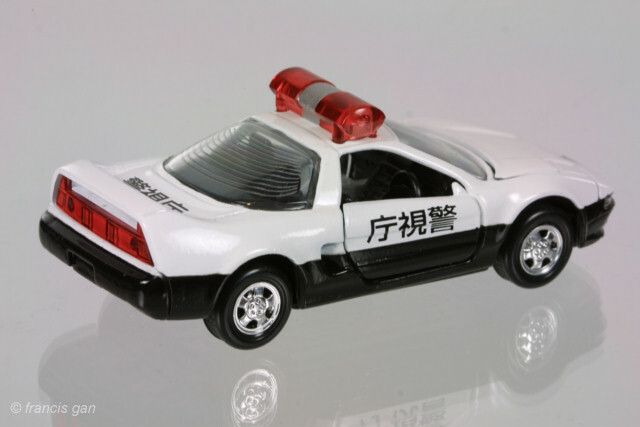 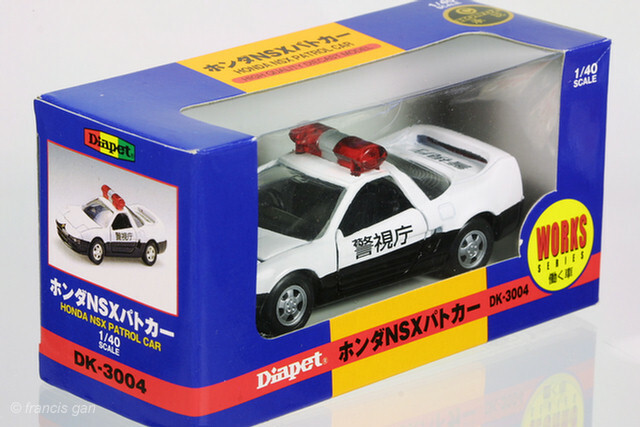 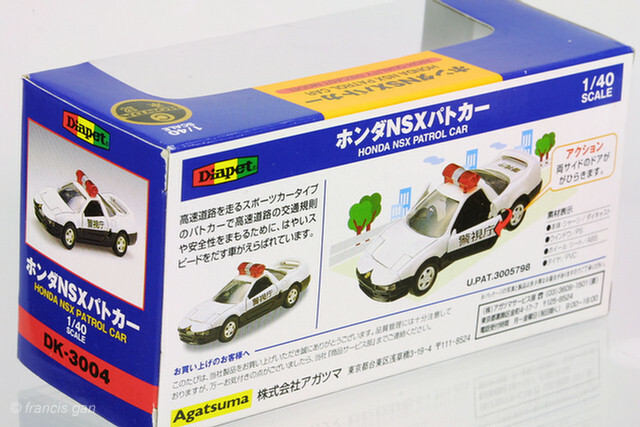 A police NSX was also available in a couple of variations and packaging. 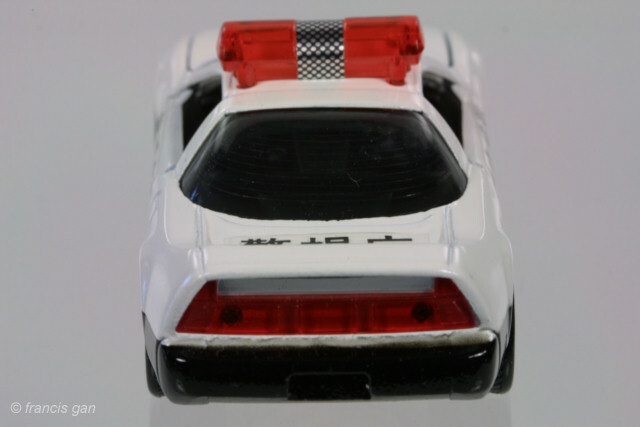 This second NSX police car has a checkered silver decal on the light bar and a circle decal on the hood. 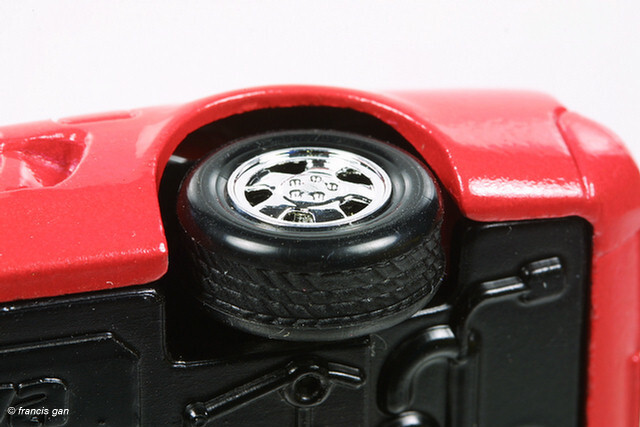 The tires on this one are also of the plasticy kind. 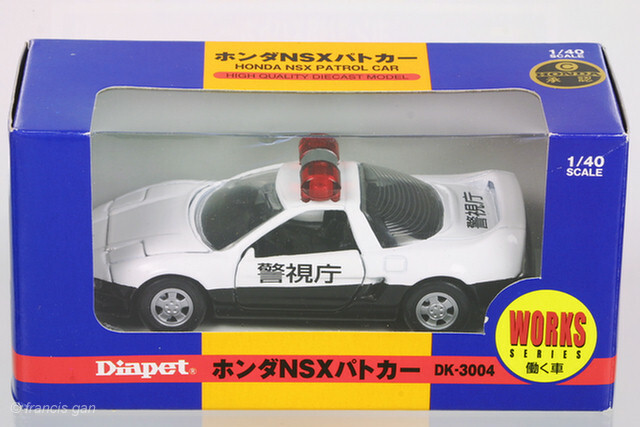 Here's another variation of the Diapet NSX police car. 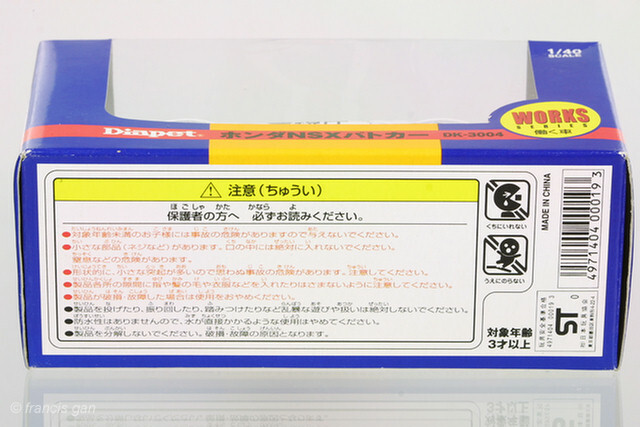 THis one has silver wheels and comes in the latest blue/yellow windowed box. 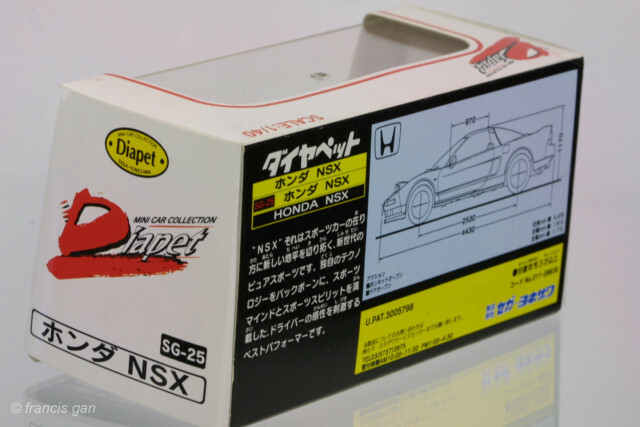 Racing NSXs were available in JGTC Raybrig NSX blue livery as well as a Le Mans NSX GT Red/Black livery.